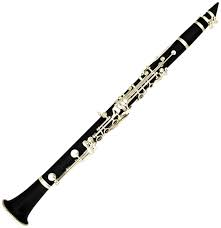 I love all of the instruments in a symphony, but if I had to be pinned down, I would say my favorite is the clarinet. What a sweet, warm, mellow sound it produces. I became enchanted by the clarinet because of two pieces from Mozart. His clarinet concerto and his clarinet quintet. Mozart's clarinet quintet is a wonderful chamber music piece featuring the clarinet, and string quartet of 2 violins, a viola, and a cello. Mozart was a piano and violin virtuoso, but he sure must of understood and loved the clarinet, as he could bring out its beautiful soulful sound like few could at the time. Mozart's quintet in A-Major has four movements: 1. Allegro 2. Larghetto 3. Menuetto - Trio and 4. Allegretto - theme and variations. I think when you hear the beauty of this instrument in this special piece, you will love the clarinet too. Please turn up the volume on this wonderful Sunday and enjoy!